Last week we looked at what 50k euros would buy in Spain. (Article here) This week we look at what 100/150k euros will buy. Remember that since 2008 the pound has not been as strong against the euro and that property prices have halved in some areas. This means you are very likely now going to be getting better value/a bigger property or a more prestigious address than you could imagine. So, let’s whip around Spain again! STUNNING MODERN SCANDINAVIAN STYLE GARDEN APARTMENT- Located within a secure gated development within 10 minutes walk to the beach, shops and amenities.This 2 bedroom apartment is similar to a bungalow and has a large sunny private garden and open and covered terraces with sea views. Being a corner apartment there are more windows and this makes it very sunny throughout. 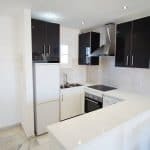 It has been completely renovated in a minimalistic style with an open plan modern kitchen and a brand new stylish bathroom. Sold fully furnished this lovely property offers plenty of space on the same level and with the private wrap around garden its ideal if you have pets. There are lovely communal pool and garden areas within the community and with many permanent residents its very well run and always looking immaculate. Behind the apartment is private parking and you have the countryside where you can walk through greenery for miles. You can walk to the beach within 10 minutes and there are various restaurants and supermarkets close by including the bus. Easy drive from the airport within 25 minutes and you have the wonderful and charming towns of La Cala de Mijas and Fuengiriola just 5 minutes drive away. 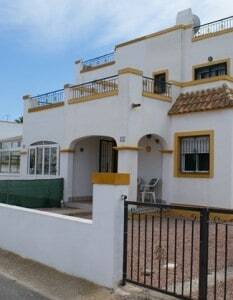 We are pleased to present this lovely Townhouse located in the Lo Pepin Area of Ciudad Quesada. You enter the property through the front garden, you have the lounge/dining area and at the rear you have the first bedroom, the kitchen that has a back door to the communal area and communal pool and the downstairs bathroom. You have stairs leading to the first floor where you will find the other two bedrooms and a balcony overlooking the country side. The property benefits of communal pool. Ciudad Quesada is a new town in the municipality of Rojales. For the last 25 years it has been very popular with expats who either live there throughout the year or have holiday homes in the town. It has an excellent selection of bars, eateries and restaurants and is less than 10 minutes from the Blue Flag Beaches at Guardamar. There was strong interest in Valencia at the 50,000 mark so I am adding two more at less than 100,000 euros. Remember that is now just ca 85,000 pounds sterling! An amazingly presented property just a hundred metres or so away from the Port and Marina of Valencia. 70m2 with two full bedrooms and another room which is either part of the light and spacious living room or a bedroom in its own right. The open-plan kitchen is modern and bright with excellent wooden worktops italian tiling and new white goods. The property is sold fully-furnished with new furniture and newly decorated too. Just a three minute walk to the Port, Marina and America’s Cup Museum and ten minutes strolling from the beach and all of the paella restaurants. To top it all off there is a huge community terrace on the roof with great views of the Marina and the Mediterranean. This will sell quickly so make it quick for your visit. This is spectacularly good value. 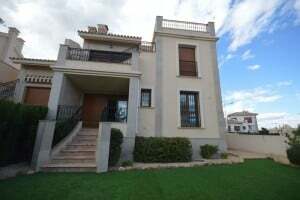 These properties were sold at 240k when originally offered and now you can get one that has hardly been used for just 98,000 Euros. 157m2 in total over three floors with direct access too from a garage below. 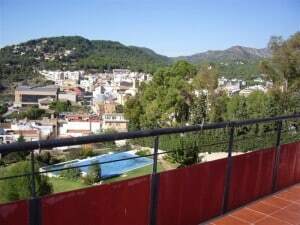 There are three bedrooms and a large attic room too for a fourth, with two bathrooms, kitchen, large living room and two excellently sized terraces with views to the town of Naquera to the rear and a small patio to the front. 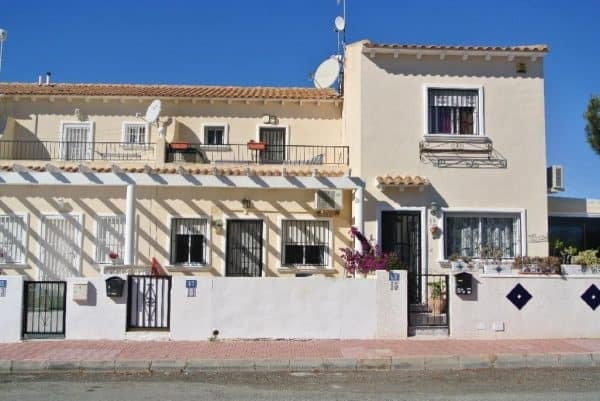 Set above the town of Naquera with a community pool and great views this property should definitely be considered if you are looking for a place within walking distance of a town (Naquera) and within half an hour of both Valencia City and the airport. Jávea,or Xàbia as it is known in the local valenciano language is a prestigious small coastal town midway between Alicante and Valenica. It is without doubt a gem of a location and is popular for primary residences, second homes and as a tourist resort. Its famous sandy beaches, attractive promenades together with quality wining and dining in a quiet position well away from the motorways and crowds means that it will be always be a sought-after destination. 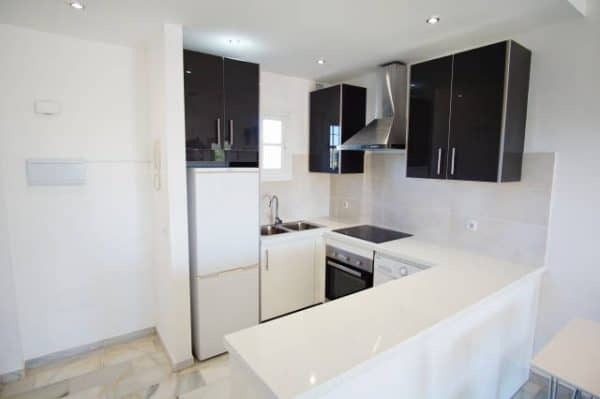 Here for example is a superb property in the town under 100K as of August 2018. Immaculate and well presented 2 bedroom apartment on the Moraira side of the Cumbre Del Sol. 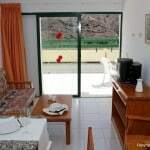 Enjoying panoramic green views this property is ideal for investment or holiday. There is a large south facing terrace which can be enclosed to be able to enjoy during the winter months. The kitchen is open plan with extra bar area. There is parking on the road in front of the apartment and there is the use of 3 large pools with ample terracing and a restaurant. Within the Cumbre Del Sol, there is a beautiful beach, horseriding stables, shops and restaurants. A short drive to Moraira, Javea and Benitachell. This is an opportunity to enjoy the Spanish climate and a second home at a very reasonable price. 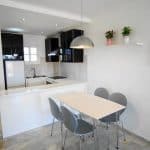 For a little more Fine & Country offer a superb-fully reformed 3 bedroom apartment located just walking distance from the Arenal beach in Javea. No expense has been spared, new flooring, windows, kitchen and bathrooms. Great opportunity! If you are looking for an elegant apartment near to the beach, you should visit this gem. This superbly-placed property enjoys a large terrace, and is being sold with underground parking and store room. Well distributed, with 2 double bedrooms, 1 single bedroom, 1 family bathroom, and 1 ensuite. Maybe you would prefer to buy a pot of land and design or build your own dream villa. We have land available located in an established urbanization between Javea and Moraira, subject to the normal plans and guidelines from an Architect this is ideal plot for single villa development. 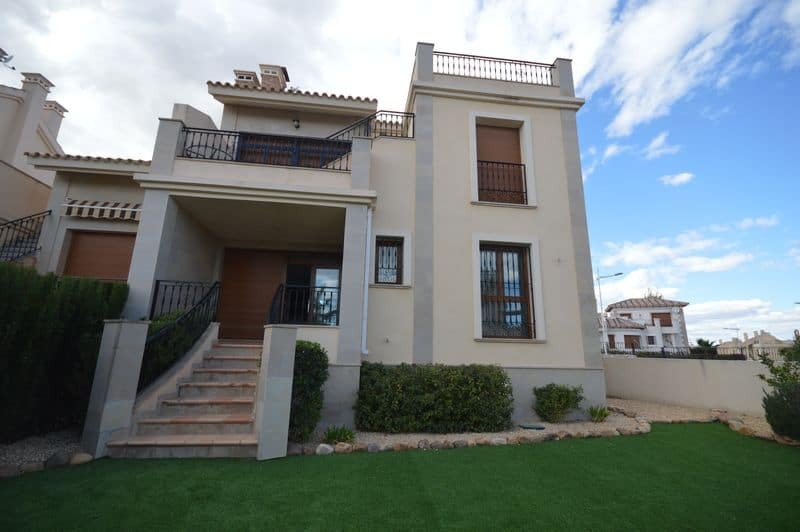 3 bed/2 bath quad available immediately in the prestigious Jardín del Mar 7 area of Torrevieja Alicante. 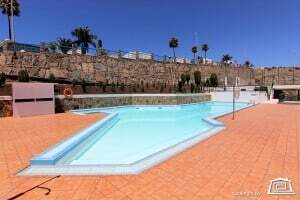 As you can probably imagine, there is very little available on Gran Canaria for 50,000 euros. Certainly nothing in the expat areas. 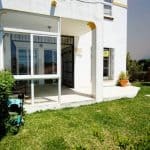 You may be surprised to learn that you CAN find properties that do represent excellent value for money at 100,000 euros. 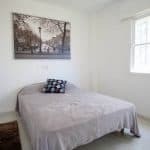 Choice of several spacious apartments with large terrace located in the higher area of Puerto Rico. They all have mountain-views. Each apartment is divided into an open plan kitchen and living room, bedroom, bathroom and a spacious terrace. The sunny complex offers you all the comforts needed… a large communal pool (soon to be heated) with several sun terraces, lift access to all floors, garden areas, reception, tennis court, etc. PUERTO RICO is one of Gran Canaria’s most popular destinations for UK and Scandinavian travellers. The sheltered beach is a favourite for sun worshippers and there’s a coastal path leading to the white sand beach at Amadores. For hikers it’s the perfect starting point for trips up into the mountains. Puerto Rico shopping centre includes a medical centre, a gym, hairdressers, bakery, countless pubs and restaurants, etc. Daytime activities in the resort include mini golf, water sports, tennis, carousels etc. From the harbour tourist ferries take you to Arguineguín or Puerto de Mógan, and from the new bus station there are departures to destinations all over the island including the airport and the capital city of Las Palmas. Benidorm is eternally popular with the Brits (…and the Irish, Scandinavians and Dutch too!) 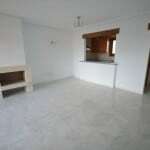 I am delighted to confirm that there is now a huge number of properties that are available below 100,000 euros. We are pleased to offer 2 x 1 bed Apartments recently refurbished. 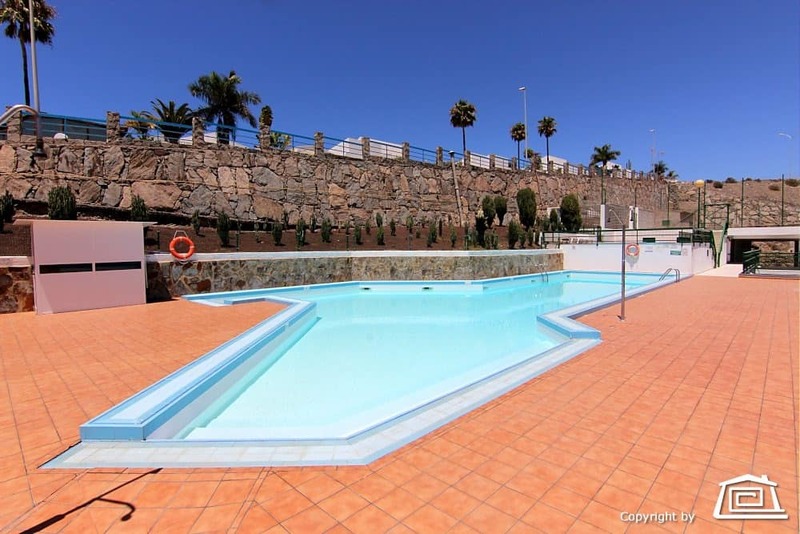 These 1 bed, 1 bath/shower apartments have sea views over Poniente beach and are close to all amenities as well as being a 2 minute walk to the beaches of La Cala and Poniente. The property consists of am American style kitchen and one bathroom. One of the Apartments has a small sized bath and the other has a walk in shower. The outside balcony areas are glazed in with opening windows allowing more internal space, ideal for those winter months. In the summer the balcony can put to its full use by opening the large windows! Both Apartments come with washing machines, all kitchen appliances and furniture. The furnishings in these apartments are all new. Communal areas with security doors and communal parking. Communal Swimming Pool and garden. The apartments benefit from being near to both la Cala and Poniente and are on a main bus route which services all areas of Benidorm. Walking distance to all amenities to include, bars restaurants, shops, schools as well as being close to both beaches. A bargain property ideal for holidays or as a rental opportunity. We are pleased to offer these Apartments for sale. Although in need of modernisation to bring them up to a modern feel, this work would be purely cosmetic. They really are good investment properties. The Apartments are currently 1 bed but all have very large balconies which can partly be converted into an extra bedroom still leaving a terrace area. Presently the properties have a separate kitchen and bathroom as well as a living room area. All apartments would benefit from the opening up of the kitchen area into the lounge area and a modern feel could be gained by inserting an American style kitchen. There is also a laundry room which houses the washing machine and has a separate sink. Although very similar, each apartment has a slightly different feel so viewing is recommended. 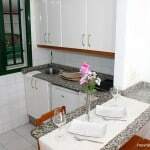 They are located in the popular Rincon de Loix and close to all amenities, beach, bus route, entertainment, restaurants and shops. 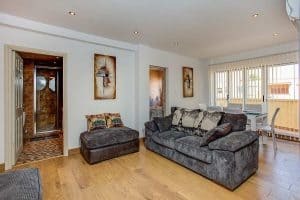 These apartments lend themselves to being a really good investment and, with a little bit of extra care and attention could be turned into bright modern apartments ideal for holiday makers or as a personal holiday home. If you would prefer to let these long term then this is also possible given the popularity of the area with the Spanish and tourists alike. 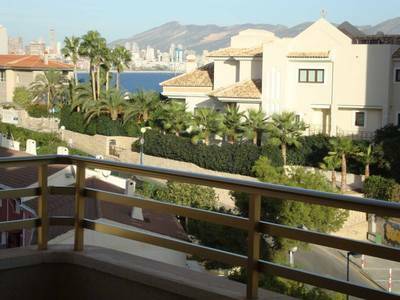 Further details of these apartments and numerous other Benidorm properties here. NOTE: This property can also be bought together with the other property next to it. 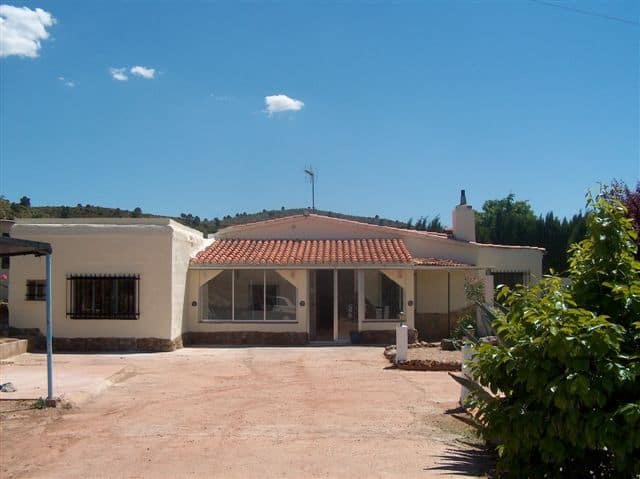 Both houses for only 200,000 euros to make it a very large property. This country villa is situated in the beautiful valley of Zarra, which is a protected nature reserve. 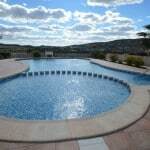 Very close to amenities in Ayora and just an hour’s drive from Alicante and Valencia. The house comprises living room with wood burner, conservatory, open plan kitchen, dining room, second kitchen, 3 bedrooms, 2 bathrooms, large garage and 5500 m2 of land with pasture, riding ring for horses, pond and swimming pool. Electricity from Iberdrola and water from the municipality. This modern style ground floor apartment is situated on the on the prestigious La Finca Golf Resort Complex and adjacent to the typical Spanish village of Algorfa. Surely one of the most prestige addresses in Spain! It is located in beautifully landscaped communal gardens and just a few metres away from the communal pool. It is within walking distance of all the local shops, bars and restaarunts. If you are looking for something unique and above the 100,000 mark, you will find this article of interest. If you are looking for prestige property, check The Midas Touch Magazine. For any questions about Spanish property, mortgages or currency transfer please use the contact form below. We will be pleased to help.